On Tuesday 15th November Key Stage 2 took part in a 'Skipping' day. 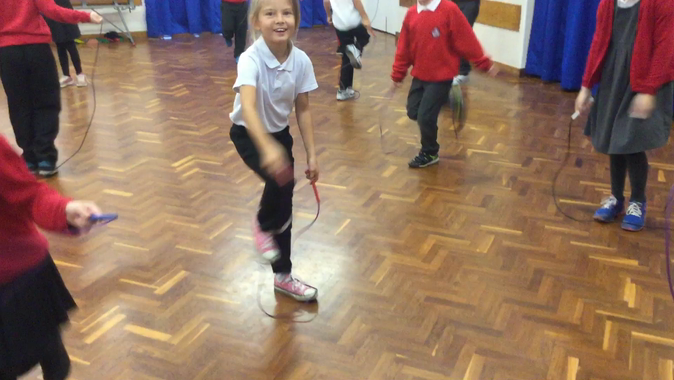 Each class had a 40 minute session with a qualified skipping coach. They were led through a number of different skipping activities, from skipping with individual ropes through to having a go at double dutch skipping. It was great fun and all the children got actively involved, it really got the heart rate going!